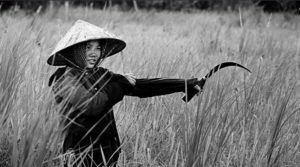 The Vietnam War: Unfinished Business? The phrase “unfinished business” is not mine but from the film directors. Friends asked me to comment on the film, The Vietnam War (Ken Burns and Lynn Novick, PBS, September 2017). How can I comment on something I haven’t seen it all? PBS is not available in Vietnam. Even if I have in my hands 10 episodes (18 hours) it may take a few days to watch them. That is why I have to play “fast forward” to go through them quickly to get an idea and then pause to watch some necessary parts, like skim-reading a thick book. First, this film is too long like a marathon and even if you are patient enough to get to the end, you cannot digest it easily. Second, as you are skimming through quickly, having a sense of déjà vu, you may lose your appetite. Third, you may be curious to see how other people from different backgrounds comment (though I am not sure if they all have thoroughly watched them). This article therefore simply offers only some general observations, rather than specific comments. My first observation is that it is a well-made documentary film (taking almost 10 years), quite expensive (over $30 million budget) and very ambitious. While this film is no less painstaking than Vietnam: A Television History by Richard Ellison and Stanley Karnov, 1983 (includes 13 episodes, 780 minutes long), Ken Burns and Lynn Novick are even more ambitious. They have taken a fresh and balanced look in revisiting the war and trying to figure out how to heal the wounds. They have taken pains to collect a wide range of documents, photographs, and music (using 25,000 photographs and interviewing 80 people involved in the War). The result is a great film being appreciated by the general public as an Epic. But others think this film only achieves a “false balance” as it tries to put both sides on the same boat as “equally guilty parties,” so as to indirectly justify the war. But the paradox is that the more controversial the film is the more it may become renowned and successful. Secondly, precisely because they want it to be balanced and healing, the film is controversial and vulnerable to criticism. 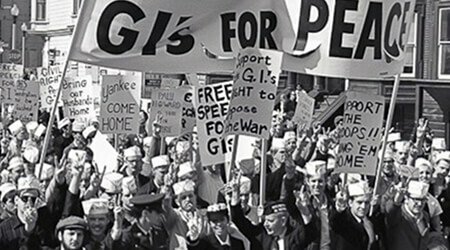 While the American public has largely appreciated this film, others (including war veterans) are disappointed that the filmmakers have either unintentionally or intentionally selected certain witnesses and their stories while ignoring others involved in the Vietnam War. Most Vietnamese (from both sides) including the “winning side” (the communist government) and the “losing side” (anti-communist people) have shown displeasure at this film. 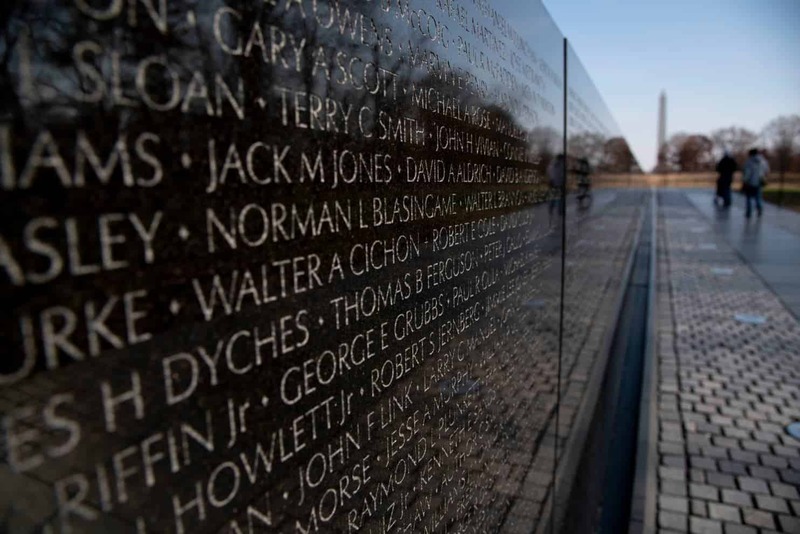 It might be that the hatred harbored by extremists (from both sides) is still boiling, thus the hostility still rages in the back of their mind, though the war ended 42 years ago. Or the film makers might have missed out on something. For instance, nowhere in the film you can see such renowned witnesses identified with the Vietnam War as Phạm Xuân Ẩn (the “Perfect Spy”), Neil Davis (the legendary NBC Bureau Chief who died 1985), Daniel Ellsberg (who disclosed the Pentagon Papers), Tim Page (photographer), Nayan Chanda (author of “Brother Enemy” and editor of Yale Global Online). Thirdly, while great efforts have been made to make the film balanced, it leaves the impression that it is an American film, talking about American problems, not really about problems that the Vietnamese care about. It is understandable as the filmmakers are American. Yet among the 24 advisors and assistants, there are some Vietnamese, but their impact might be insignificant. Although many Vietnamese (from both sides) were interviewed, some still believe it was “unfair” as the War took place in Vietnam, largely in South Vietnam. 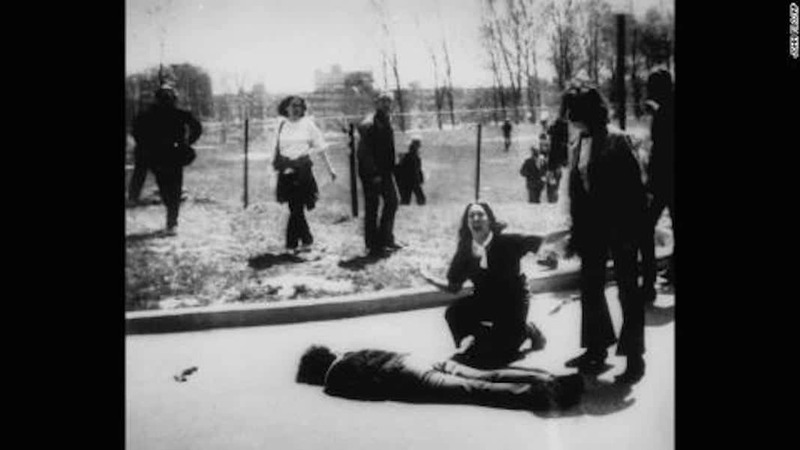 While the War was said to have moved to the US, causing violence in Kent State University claiming the lives of four students, it was only a minor “sideshow.” According to official figures, “the winning side” lost one million soldiers, the “losing sides” lost 310,000 soldiers, and both sides lost two million civilian lives, making up the total losses of 3-4 million local lives, compared with 58,000 American soldiers dead and 305,000 wounded. During the War, the casualties of the Viet Cong and American sides were a ten-to-one ratio, but the American military only cared about American lives, even though “body count” was a cheating game. While most if not all of the nearly 2,000 American soldiers classified as MIAs were searched for and their remains accounted for to be repatriated, many international journalists of different nationalities went missing as MIA, still unaccounted for with no searches for their remains. The surviving journalists known as “Vietnam Old Hacks,” like photographer Tim Page, have drawn an incomplete list of more than 70 missing journalists (mostly during 1970-1971). But these surviving journalists are quite old, without resources and necessary information to search for MIA colleagues, while governments (including American and Vietnamese) pay little attention to this issue. The Vietnam War film has also glossed over this story. For the dead of whichever side, as well as their family and friends, this is not only “the Sorrow of War,” but also a spiritual and moral debt which may leave a shameful black gap of humanity in the history of war that our children may question. Forty-two years after the War, is the ghost of Vietnam not really dead and still haunting and waiting for a chance to rise again? Although it is not really clear if the Vietnam War has driven this nation back to the Stone Age, its huge consequences have hurt and obsessed these two nations for half a century as karma. Everyone knows we cannot change the past, we want to look to the future, but how to do it is not so easy. 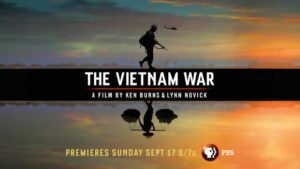 While Ken Burns and Lynn Novick’s idea to make the Vietnam War film is excellent, it is not easy to know what to tell and how to tell this bloody and complicated story which so many people have already done. When I met with Lynn Novick in Hanoi (perhaps in 2013) I did not want to join this film project for personal reasons. At the end of April 1995, when I joined a “speaking tour” in the US with a group of American journalists on the occasion of the 20th Anniversary of the end of the Vietnam War, I said this was the last time I would talk about the Vietnam War. “The 10thAnniversary” in 1985 was necessary. The 20th Anniversary, in 1995, was more than enough. We should talk about the future, about the lessons of post-war developments and the new conflict in the South China Sea. Why did it take 20 years for Robert McNamara to admit the folly (In Retrospect: The Tragedy and Lessons of Vietnam”, 1995)? For such a “Best and Brightest” man, this was too little, too late. As early as in 1961-1962, George Ball, Under Secretary of State in the Kennedy and Johnson Administrations advised the President not to escalate US intervention in Vietnam, but nobody listened to his advice. George Ball resigned in 1966. Similarly, Archimedes Patti, OSS representative in Hanoi in 1945, also shared the same vision, but nobody listened to his advice on Vietnam (Why Vietnam: Prelude to America’s Albatross, 1982). In this documentary film, Archimedes Patti and George Ball are not mentioned, while Leslie Gelb and John Negroponte are widely quoted. Why Vietnam? Why Iraq? Why was the folly not avoided? Senator William Fulbright called this the “Arrogance of Power”. Others called this “ignorance of the enemy” and “indecency.” This explains the Vietnam tragedy even 42 years after. People continue to write books and make films on the Vietnam War (given enough budget) to analyze shocking reasons and consequences. Yet, people continue to make mistakes and repeat the folly. The greatest folly by the Americans was to fight Vietnam as a deadly enemy, believing they were containing Chinese expansionism, but in fact they have facilitated Red China to rise and push America out of this region in order to rule the South China Sea. Now that America and Vietnam have awakened, trying to shake hands as new allies, it is a little too late. 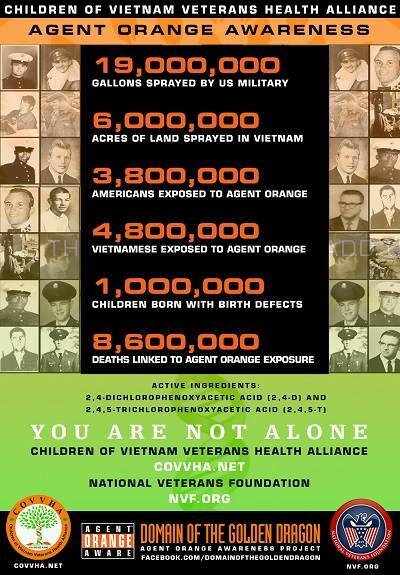 The Vietnam War was a great paradox. Yet, what happened after that was an even greater paradox. These deadly paradoxes have driven these two nations into an ideological trap and historical quagmire, and getting out is still uncertain as a mirage at the end of the tunnel. 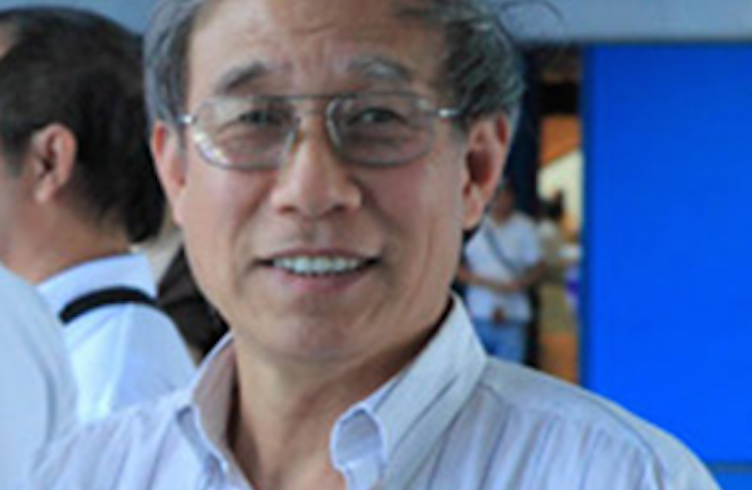 Nguyễn Quang Dy studied and researched at the Australian National University (ANU, 1976-1979), Harvard University (Nieman Fellow, 1992-1993), and worked at Viet Nam’s Ministry of Foreign Affairs (1971-2005). He is an expert in international research, media, and training. He has been a senior consultant for a number of training organizations and programs. Currently Dy is a freelance journalist and an independent researcher and consultant.